For a quarter of a century the team at Harcourts Holmwood has been an integral part of the Invercargill community. The Invercargill franchise for Harcourts, New Zealand’s largest real estate company, opened its doors 25 years ago on August 16, 1991 and immediately made its mark on the local landscape. Original owners the late Neil Burns, and Tony Jenkins quickly built a strong sales team and in 1994 wrote 102 contracts in one month, the month of March. This was a record breaking achievement for a team of 14 sales consultants, astounding many in the industry. In 2003 the Harcourts Invercargill team were singled out and awarded the prestigious Best Practice Award, recognising them as the number one real estate team in Australasia – out of 9395 offices. Jenkins, who is still at the helm and who was last year inducted into the Harcourts Hall of Fame, says he is incredibly proud to be celebrating 25 years with his Invercargill team. “It’s a fantastic landmark for this business, and it’s great to see it still playing such an active role in the local community. “We’re extremely proud to be able to give back to the community by supporting local groups and events,” he says. Harcourts Holmwood Invercargill are sponsors of the Southland Foodbank, the Tour of Southland and a large number of other local charities. Jenkins says when the franchise office was launched in 1991 he looked at a number of real estate companies before aligning with Harcourts “because of its superior branding, technology and systems”. Harcourts NZ CEO Chris Kennedy, who launched his own real estate career with the Invercargill office, says it sets the bar for the rest of the Harcourts team when it comes to outstanding performance and customer service. “Harcourts Invercargill is the place where I learnt that people should always come first and nothing is more important than your client experience. 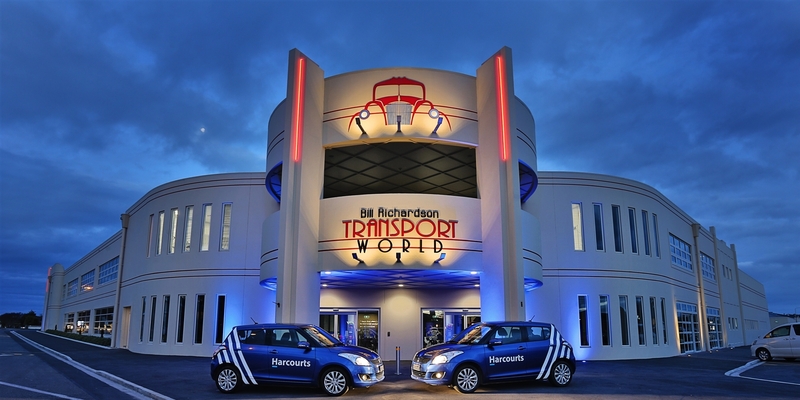 “Led by Manager Wayne Ellis, the team at Harcourts Invercargill push themselves every day to deliver above and beyond what their clients expect. It is a way of doing business that has seen them recognised many times both nationally and internationally as a flagship within our company,” Mr Kennedy says. Harcourts Holmwood Invercargill manager Wayne Ellis says the team feels extremely grateful to Southland for its support of the business.